If you are unable to host a kiddies party at your home due to size constraints, no garden, etc, you may want to consider planning the party elsewhere. If you don’t want to spend money on venue hire, but want a lovely venue that the children will enjoy, you are in luck living in Cape Town as there is so many lovely outdoor options to choose from. Children of all ages will love going to the beach. Obviously this will suit a summer time party best, probably in mid- to late-summer. In choosing a beach remember to think of the wind direction as in summer most wind blows from the south east. If the party is in the afternoon you may wish to choose one of the north facing more sheltered beaches like Clifton or Camps Bay. However a morning party at St James or Fishhoek on the False Bay coast will be lovely as those are very child friendly beaches. You can plan the theme around the beach, take ice lollies, have sand castle building competitions, etc. A neighbourhood park is also a lovely idea for a party. 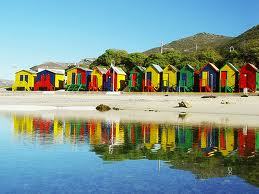 There are many around Cape Town that have great play areas and jungle gyms for the kids. My favourites are Maynardville park in Chelsea Wynberg, Wynberg park in Wynberg/Bishopscourt and Brocker Way park in Tokai. For older children (from 10 years on), you may wish to incorporate some exercise into the party activities and doing the walk from Constantia Nek to Kirstenbosch is an easy walk taking just under an hour. You can then plan to have a picnic in the beautiful Kirstenbosch gardens and arrange for the parents to pick the children up from there so you only need to walk one way. The gardens will make an exciting venue, particularly if you plan a treasure hunt using the flowers and plants for clues so that they learn something while having fun! 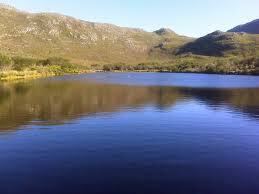 Tokai Forest may have a small entrance charge as well, but is also a lovely venue for a picnic or braai. The kids could even take their bikes with and you can plan a route for them to ride. There are nice days in winter to even do this option for a party. Just watch out for baboons as they are often around looking for food. Hello there, You have done an incredible job. I will definitely digg it and in my opinion suggest to my friends. I am sure they will be benefited from this site.